We have a lunch buffet from Mon - Fri 11:30am to 2:30pm / Sat & Sun 11:30am - 3:00pm. Every item at our buffet is prepared fresh in the morning. We feature over 20 delicious items for you to try. 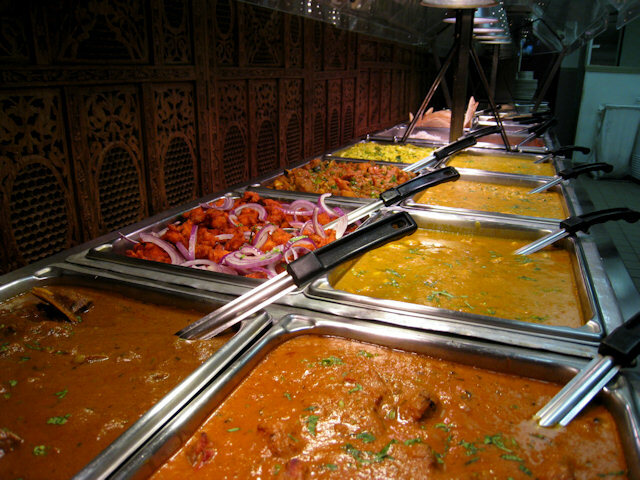 Whether you are in a hurry to have a quick lunch; looking to have a business lunch or just wanting to enjoy a nice relaxing meal, Best of India's lunch buffet is for you. Served on a bed of greens and includes chutneys and one plain naan bread only. (Vegan meals are available upon request) "V"